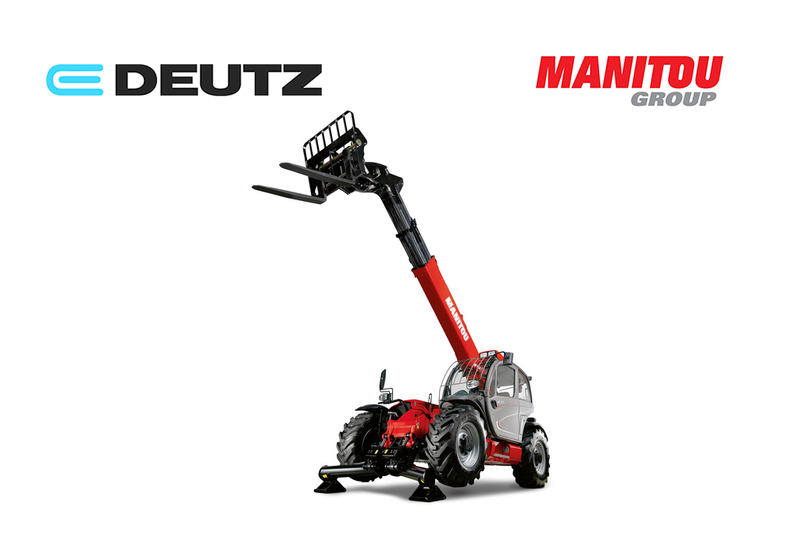 Manitou and Deutz are working together to produce electric and hybrid versions of its rough terrain telehandlers, with prototypes of two models handed over to Manitou during Deutz’s ELECTRIP event in Cologne. The machines are an all-electric MT 1135 handler and a hybrid MT 1335. The full-electric MT 1135 is equipped with a 360 V power supply and a 60 kW electric motor. The battery, with 30 kWh capacity, ensures that the required level of energy is delivered. The MT 1335 is normally supplied with a 75 kW Deutz TCD 3.6 diesel engine, but the hybrid version uses a smaller 55 kW Deutz TCD 2.2 engine coupled with a 20 kW electric motor. The handler uses a 48 V electric system. There is no word yet as to when production models will be available on the market.